1 motor channel, 1 sensor channel. For three-phase linear motors with currents of 5 A per phase. Sine-commutated operation, field-oriented current control. Automatic communication angles adjustment. PID controller for position and velocity. Protection for motor and motor driver due to protective shutdown and current limitation. Can be inserted in any free slot. 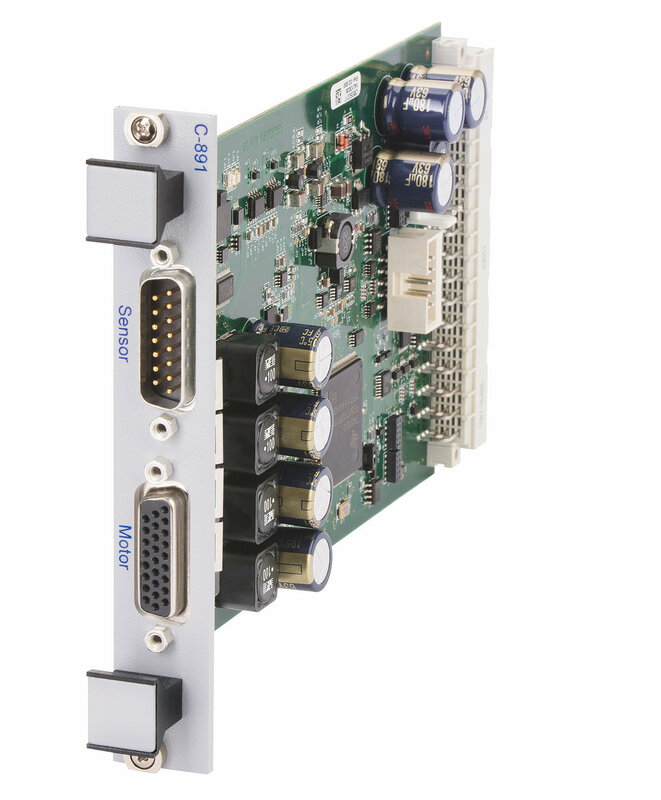 Automatic detection and external communication (USB, Ethernet) by the processor and interface module of the C-885. Power via the power adapter of the C-885. Point-to-point motion. Data recorder. Wave generator. Macros. Automatic commutation angles adjustment for 3-phase linear motors. Overload protection of the motor driver. Overheat protection of the motor. Overcurrent protection of the system.